FOUR Cores, four USB ports and 40 Pin GPIO! 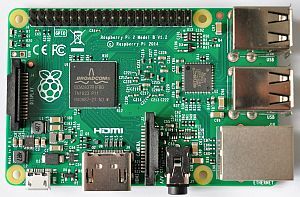 Whilst having the same SoC/CPU as a Pi 3 it has no bluetooth or WiFi on board. Which may be an advantage or a disadvantage!